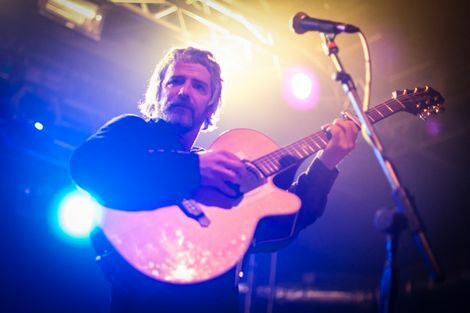 I Am Kloot’s main man goes solo in Liverpool, Getintothis’ Alan O’Hare enjoys the shaggy dog stories delivered by a favourite Northern son. When is a gig more than just a gig? 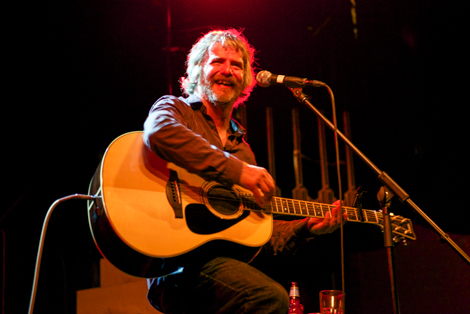 When John Bramwell is in front of a live mic. The I Am Kloot hero went it alone at a packed Kazimier last weekend and delivered on every level. Great songs? All night long. Deadpan delivery from a favourite Northern son? We were howling throughout. A lightness of touch in the face of adversity? They don’t come more talented or modest. And then there’s that singing voice. Like he’s narrating a real life episode of Early Doors, Bramwell has you hanging on every line. Shaggy dog tales nearly outnumber songs (well, nearly, as plays about 50) and the crowd never once grow restless. This is what we’ve come for: a night out. The singing remains from the top drawer and shame on you if you don’t know all about the songs by now. I Am Kloot is the band The La’s should have become. That they didn’t remains Merseyside’s loss and Manchester’s gain. But that’s a story for another time. Northern Skies, To The Brink, Twist, 86 TVs and Proof all bring hushed sing-a-longs (the punters were probably scared of being bollocked by Bramwell) and the set list goes on and on. 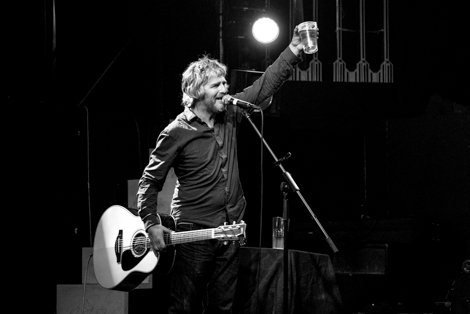 It’s the little things that count with the main man of the Kloot: his acoustic guitar comes through an amp and it just gives that little more bite to a solo show. Though, in truth, this wasn’t really a solo gig: a rammed Kazimier more than played its part. Old school? Perhaps. But when the stories and song are this good, who’s quibbling? Certainly not us. We left feeling like Steve McQueen in The Great Escape.